Who Cares About Blockchain? DAG is the New Hot Thing! 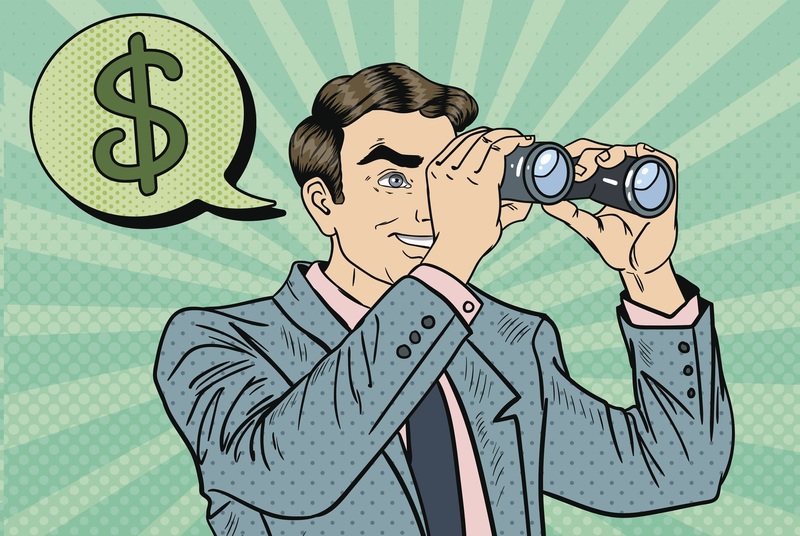 Even though the masses are still far away from adopting blockchains and cryptocurrencies, nearly all major tech and finance companies have been dipping their toes in the promising technology and exploring its opportunities. In this article, we take a deeper look at DAG structures, explore whether DAG-based networks really are a potential blockchain killer and what projects are using the technology for their decentralized projects. A graph in this context means a network of connected nodes. As implied by the terminology, information passes through DAGs acyclically. This means that information (a transaction, either monetary or an action that produces data) of a DAG-based network doesn’t go through the graph in cycles. Instead, once information is transmitted from a node, there is no way for this information to return to the sender without passing through other nodes that have already received the information before. Moreover, in an acyclic structure, it is impossible to start at one particular point and then traverse the entire network. Given all these promising features of the DAG structure, it’s easy to understand the excitement of many investors about projects deploying the technology on their network. To explore what the biggest projects using a DAG structure are and how they implement it, we’ll now take a look at 4 promising projects in the space. As the name implies, IOTA is built to facilitate transactions for the Internet of Things (IoT). The promise of IoT is a fully automated machine-to-machine economy. However, there was one missing link — how will these machines transact and communicate with each other without human intervention? IOTA is trying to become this missing link for the IoT industry, which is estimated to reach $457 billion by 2020 with an expected roughly 25 billion devices connected to the technology by then. IOTA employs its own implementation of the DAG structure which they have named The Tangle. The Tangle is a “stream of interlinked individual transactions that are distributed and stored across a decentralized network of participants.” In the Tangle structure, each node in the network is connected to each other in an ordered fashion. There are no blocks because all the nodes are connected, meaning that all transactions are simultaneously updated and synchronized. The Tangle is theoretically immensely scalable because it allows for different branches of the network to function simultaneously and eventually merge. The structure has no maximum throughput and since there are no miners, there are no miner fees, allowing IOTA transactions to be fee-less. The user’s “payment” for transactions is a minor Proof-of-Work, which is a small computation verifying previous transactions in the case of IOTA. Because of this dynamic, the network becomes increasingly faster with an increase in the number of users. IOTA is the leading DAG project in the industry and has been continuously achieving milestones, firmly consolidating its leading position. Over 600 companies have expressed their interest in working with IOTA’s technology. The project is working with the government of Taiwan, Volkswagen, and Fujitsu. Recently, Project Qbic was announced, a highly valuable addition to the IOTA network enabling smart contract frameworks to be deployed on the network. The Nano project is cryptocurrency that runs on a hybrid architectural design combining blockchain technology and the DAG structure. Instead of each transaction being transmitted to one single blockchain, each Nano account has its own unique blockchain, the account chain, which is solely controlled by the owner. All these accounts together comprise the Nano network. The network’s architecture is immutable, allows for fee-less and instantaneous transactions, and Nano has a superior scalability potential relative to its blockchain-based competitors. Similar to IOTA, a minor Proof-of-Work computation of previous transactions is conducted as a “payment.” These computations are individually quite light, however, if someone wants to spam the network, it will become a costly operation. It combines this Proof-of-Work mechanism with a Proof-of-Stake algorithm based on a DAG structure for reaching network consensus on transaction validation. For more technicalities concerning Nano, click here. There has been some critique regarding the absence of the proper incentives for nodes to maintain the network’s decentralized ledger. However, as this article clearly sets out, this is not a problem per se as the cost of maintaining a node is low while the potential cost savings for businesses is very high. Although Nano’s technology has been tested, tried, and proven to work, adoption is still lacking, which is the next big challenge for the Nano network. The Byteball project is establishing as decentralized network for the storage of data and a cryptocurrency platform. It employs all of the industry’s favorite concepts, including smart contracts, user-controlled identity, a payment processor, high scalability, and in contrast to most projects, it is already fully functional. Byteball allows for ICOs to be launched on top of its network and the team has made it relatively easy for developers to create and deploy dapps on the Byteball network. Moreover, once deployed, the dapp can reach all Byteball users via the Byteball Wallet Bot Store. Byteball has created a highly varied ecosystem in terms of functionalities and features, which include the ICO launchpad, the Bot Store, sending crypto via chat or email, sovereign identities, chatbots, an untraceable currency, on-chain oracles, conditional payments, multi-sig functionalities, atomic exchange, and the option for regulated assets. With these functionalities, Byteball offers an elaborate decentralized platform. Unfortunately, it has fallen out of investors’ grace during the 2018 slaughter. It has a strong focus on ease of usage, enjoys unbounded scalability because of its underlying DAG structure and these features strongly support their easily deployable smart contracts and dapps. For now, Byteball remains under the radar. This is probably currently the most exciting DAG project in the decentralized industry. Not because of its proven capabilities or impressive partnerships, although they do have several, but because of the extremely bold promises of the project. Hedera Hashgraph is the self-proclaimed blockchain killer. Hashgraph is the name the founders have given to their DAG-based network structure and Hedera is the name of the decentralized network and platform that uses Hashgraph. At the core of Hashgraph’s technology lies its “Gossip about gossip” protocol and their voting algorithm. These are quite complex, but thankfully excellently explained in this video with visuals and by the founders themselves. The Hedera Hashgraph mainnet was recently launched after their partly successful ICO in which $100 million of the targeted $120 million was collected. After these milestones, the first roughly 20 dapps have already been rolled out on the network targeting a vast array of different industries and solutions. There are several centralization concerns, as the technology is patented and the code hasn’t been distributed for this reason. The dapps built on the Hedera platform will slowly start showing what the Hedera Hashgraph platform is truly capable of once people will start actually using them. A project to keep an eye out for. Even though these projects look and sound extremely promising, there are still several limitations to DAG-based networks. Similar to the blockchain structure, DAGs are still in its infancy when it comes to deploying them for decentralized networks. There have been multiple projects around for several years now, however, they still haven’t killed their blockchain-based competitors. Several of the projects have incurred critique concerning their consensus algorithms, with the most prevalent being the security flaw discovered in IOTA’s Hash curl over a year ago, a problem which has been solved. There is also the problem with the levels of centralization IOTA might have to impose on its network to provide better transaction security. Byteball’s consensus can become stuck if over 50% of the witnesses collude to stop working. These are just several of the problems with DAG-based projects. This is important to keep in mind as there are only a few DAG-based projects in the industry, providing much lesser tested technologies and networks. As described here, DAG and blockchain based networks will likely co-exist because different industries and systems have different requirements. No system is perfect and even though DAG structures are highly promising in regards to transaction fees and scalability, blockchains are more robust when it comes to decentralized governance, several aspects of security, and smart contract deployment. In the end, it really depends on the needs of the users to decide which type of structure will be used. For example, IOTA is designed to facilitate machine-to-machine communication and transactions in an unmatched pace, but isn’t as secure as, for example, Bitcoin, which is designed to let people transfer value through a highly secure network, but has scalability constraints because of the emphasis of the network’s design on security. Moreover, the overwhelming majority of the population is still in the dark when it comes to blockchain technology, and this even more complex technology will require even more education before people understand and therefore trust it. Even when DAG-based networks are provenly much better in every regard, it will still take years before the masses accept this. The masses haven’t even accepted Bitcoin yet. DAG project will have to boost incredibly strong network effects before they will have a shot at dethroning blockchain-based networks. That being said, DAG-based decentralized networks still hold tremendous potential. High fees, miners with their own agendas, 51% attacks, and long block times might just become problems of the past if DAG networks prove to be able to deliver on their promises. 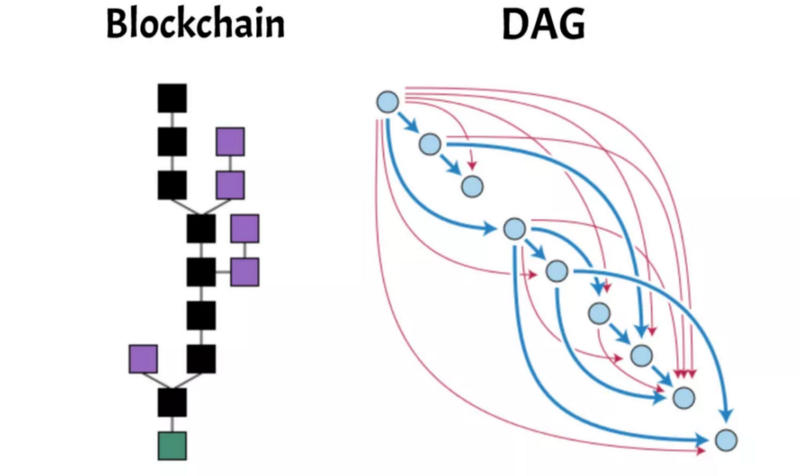 The scalability potential of the DAG structure is where the greatest potential lies, as scalability is a problem yet to be solved by nearly all relevant blockchain-based networks. Once the technology has been truly tested and tried and finds its way into mainstream, DAG-based cryptocurrencies and decentralized networks might very well dethrone blockchains as they really are an upgrade, yet this is still quite hypothetical. May the consumer decide. *This article was edited from its original version. The new TRF DAG coin is lightning fast, with current transaction speeds of around 4,000 TPS. These speeds will only continue to get faster, with estimations that by December, TRF will be up to 10,000 TPS, making us one the fastest coins in existence. IOTA did not have a security flaw in the consensus mechanism. There was an issue with hash function Curl, which would not have harmed anyone since the coordinator is still in place. IOTA knew about that before.. since coordinator was there. no issue possible.